Are you done shopping for your children's back-to-school needs? Honestly, I'm not yet done, but I already started. 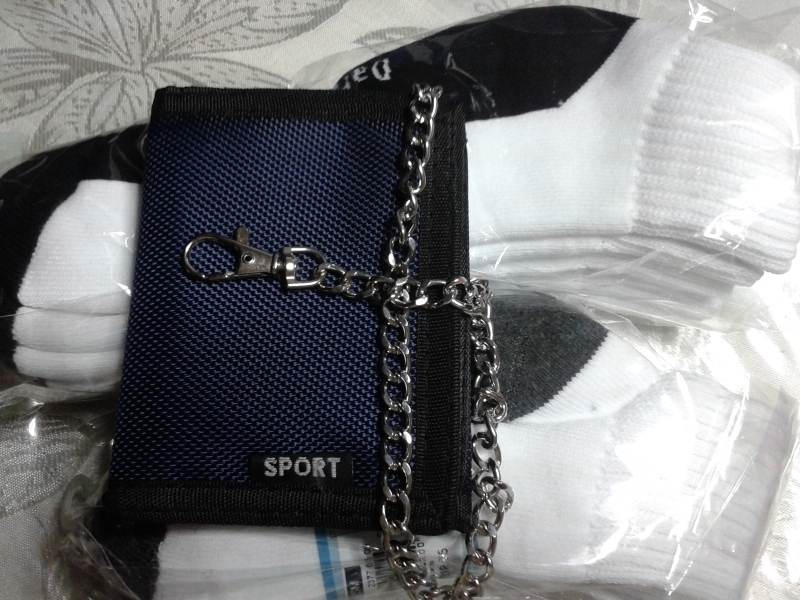 After almost experiencing a heart attack when I enrolled my son, we went to SM Manila to do some shopping using the SM Accessories gift vouchers I received in the mail and of course our budgeted back-to-school shopping money. I just want to share the great deal I got from my recent shopping at SM. When they said, "We've got it all for you" they really weren't joking. Since my now Grade 4 student son is no longer fond of character-designed bags, he spotted this plain trolley bag sitting at one corner. When I picked it up, I was so surprised that it was on 50% discounted sale! From P1,700.00 it was down to P800.00 +! Imagine that huge drop in price? If I were to buy him the character-branded bags of this size, it would have been a slash of P3,000 on my budget! The material of the bag is very durable and made of quality. You could tell with the stitches and the canvass used. I'm so glad we noticed this bag! My son's a basketball player and aspires to be a member of their school's varsity. Since his bag is already plain, he chose an insulated lunch kit with a basketball design. 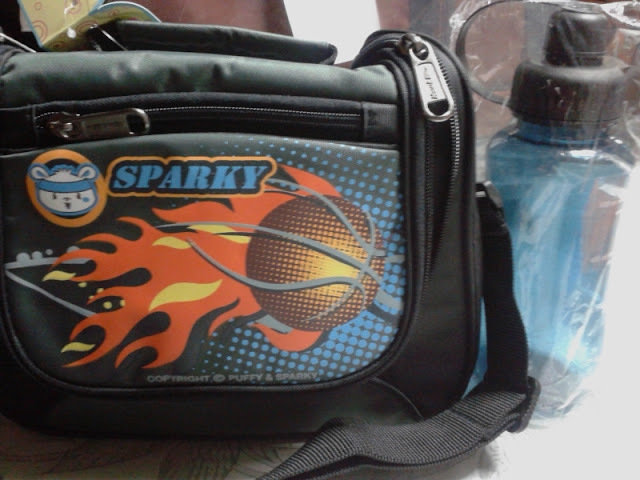 This is the closest we got to the basketball themed lunch kit. Why is this value for money? 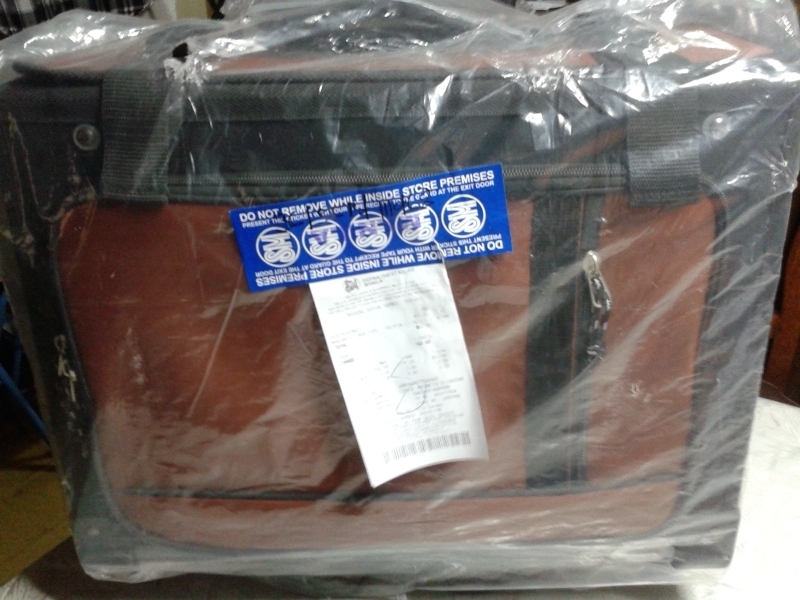 It's made by quality bag manufacturer, Hawk Bags. It has a lifetime warranty. Wow! Lifetime! I could just bring it to ANY SM store if there are problems with its stitches, zippers and have it repaired. Another winning factor is that, it came with a free 300ml water jug! :) Got it for P600.00 only. Other quality insulated lunch kits (without warranty) cost P1,000 and above. 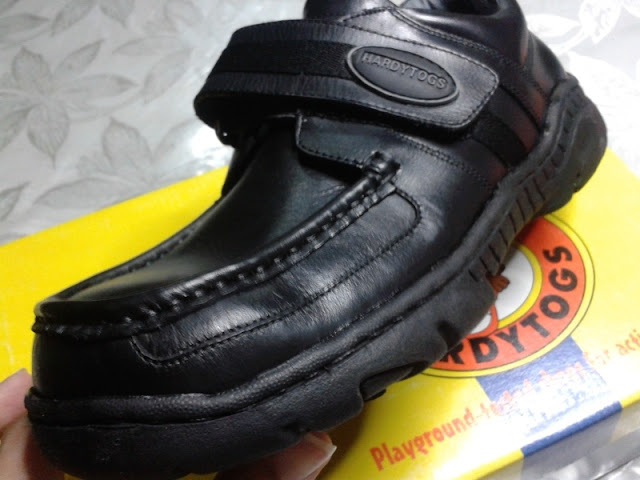 Would you believe, that this very EXACT brand and design of school shoes is what we've been buying for the last 4 years? Yes and it's my son's choice to begin with, and because it's really durable, it has become my favorite as well! 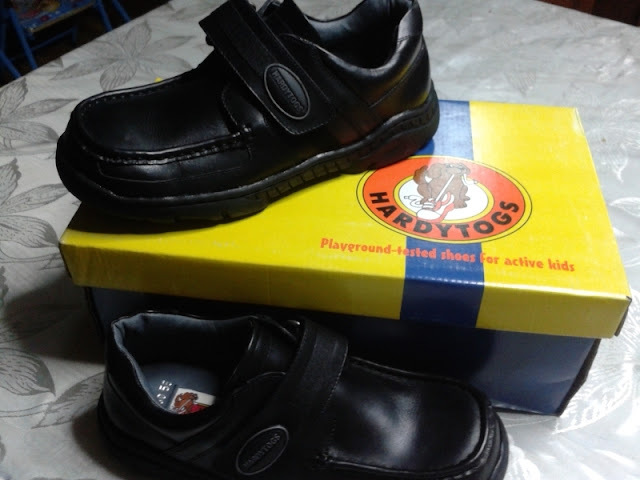 Hardytogs Shoes is my choice for active kids such as mine. Imagine, my son had ran (spell r-a-c-e) with it, kicked ball with it, slid with it, walked it in puddles/mud during rainy season, and had been through hell with it. But still at the end of the school year, it's still in one compact piece! Talk about durability and quality talaga! But I guess, this will be the last year that he'll get the same design, because we already got the biggest size for this SKU. His feet grow big really fast! Take a closer look at the stitches of this shoes. It's double-stitched and the rubber used for the sole is the non-slippery but really thick one. I'm so glad I saw this shoes back when he was in grade one and he's had happy feet in school ever since. :) Oh this quality shoes is P1,200+ only. 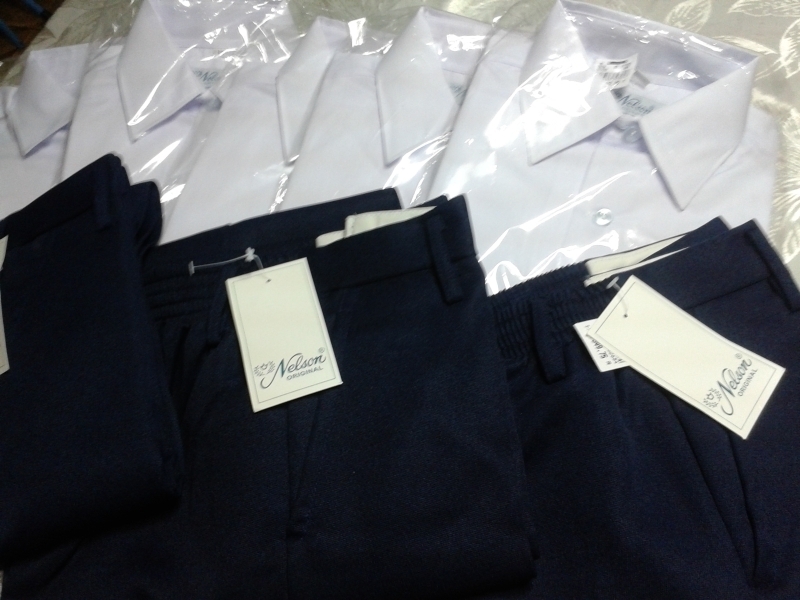 I bought him five polos, last time I bought was when he was in grade 2. He has grown so big since that time. As for the pants, I bought him three for now. The polo costs P229.00 each while the bottoms were at P349.00 each. 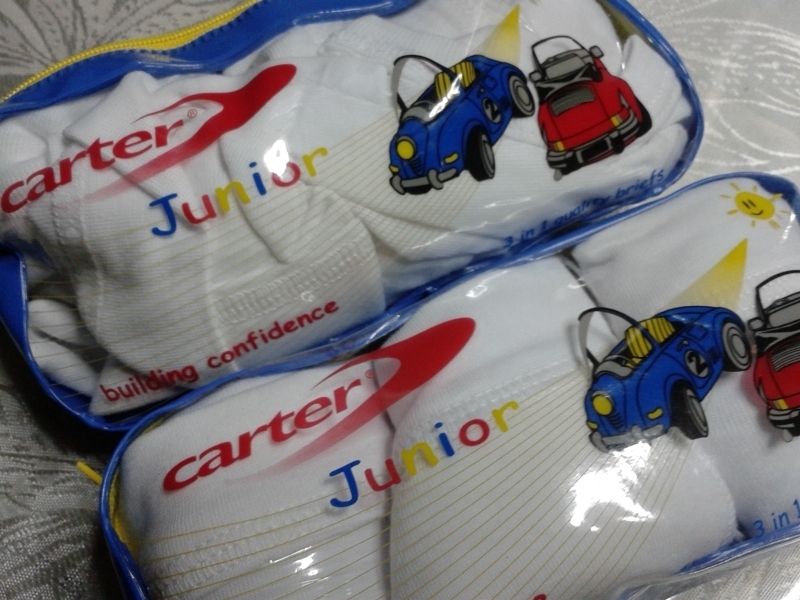 I always buy him this brand because of quality, durability and comfort. No need to expound. Each pack of three, costs P320 each. So there you have it my back-to-school shopping where I scored huge discounts and got myself great deals! How about you? 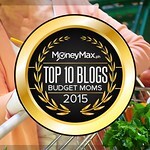 Did you find any exciting deal like I did during your back-to-school shopping? Ang gastos!hehe I remember when I was still in school, we do not buy bags, shoes and uniforms yearly. 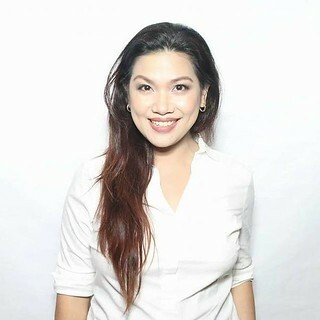 For as long as hindi pa sira, yan parin gagamitin namin. actually sis @eLLa (r)that's so true! Magastos waah! Hello James! I agree! 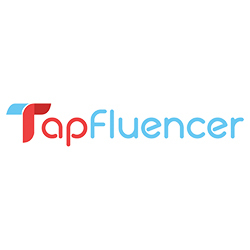 Being practical doesn't always mean buying cheap merchandise which is not made of quality. 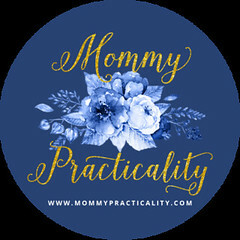 Being practical means, getting the BEST VALUE out of your money from your choices! Good job James sa bag of choice! :) Nice Nice! Thanks for dropping by my blog dear! :) I appreciate it! was checking wenger bag last weekend, and planing to buy one for my nephew. para mapalitan na yung old bag niya.